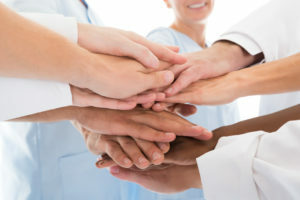 From years of experience, the following are a few suggestions to consider when adding a new associate to your practice. Why Hire a Dental Associate? As the senior dentist or practice owner, you may consider hiring an associate dentist if the practice has too many patients to treat or you are booked out for a substantial amount of time. Perhaps you want to reduce your treatment hours per week, allowing more time to spend growing the practice or possibly taking time away from the practice. An additional practitioner may increase revenue, profits, and value to the practice by treating more patients. A benefit of adding an associate is more coverage for sick days, vacation, and emergency situations. Also, it is often easier for an associate who is working in the practice to become a partner or transition the practice. Are you Ready for a Dental Associate? 18-month recall. If the patient count is too low, consider implementing a marketing plan to bring in new patients. In order to bring on an associate, the office should have sufficient space and be adequately equipped to accommodate another practitioner. Introducing the new dental associate to the patients is paramount. It’s important to have business cards printed, modify signage, update your website, and prepare marketing literature, such as a patient newsletter to introduce the associate. It may be best to wait for the passing of the associate’s probation period to announce your associate’s affiliation to all the patients or to make any major changes except for the business cards. So, in the unlikely event that the associate is not the right candidate, only a handful of patients will be introduced, not the entire patient base. It is crucial that your associate learns how to do things “your way”. We recommend that you assign one of the experienced dental assistants to the new associate. You may utilize the staff to teach the new associate your policies and procedures as it will ensure quality control. Also, get your staff on board with hiring an associate. They can make the difference in the success of the new associate and your practice. When you are ready to begin recruiting, Henry Schein Nationwide Dental Opportunities can help you conduct customized searches to find qualified candidates nationwide. All searches are confidential and we have a very high success rate. Our fees are more reasonable than you may think. Contact Henry Schein Nationwide Dental Opportunities today! Call 1-866-409-3001 or email NDO@henryschein.com. About the Author: Cindy Bickers is the Manager of Henry Schein Nationwide Dental Opportunities (HS NDO), Henry Schein’s dentist recruitment and placement division. Ms. Bickers has more than 15 years of experience in dental recruiting and was the owner of the business prior to being acquired by Henry Schein in 2012. She is a Paralegal, certified through Indiana University, and has both legal experience in private and public sectors as well as business experience in accounting and sales.